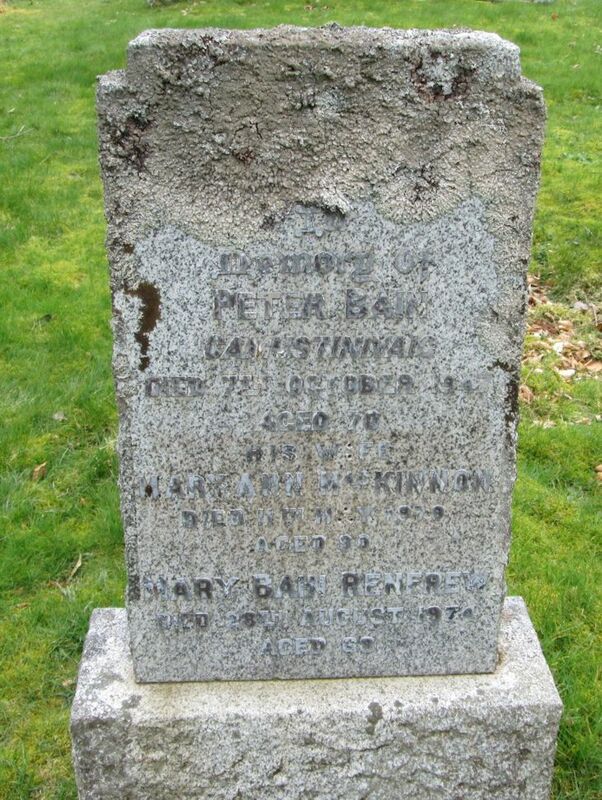 Skye Gravestones | Peterr & Mary (MacKinnon) Bain, Mary Bain Renfrew. Peterr & Mary (MacKinnon) Bain, Mary Bain Renfrew. In/memory of/PETER BAIN/Camustinivaig/died 7th October 1947/aged 70/his wife/MARY ANN MacKINNON/died 11th May 1979/aged 90/MARY BAIN RENFREW/died 28th August 1974/aged 69.